We previously looked at The Belt of Truth so let's take the next piece. We're leaving in, The Effect of Armor, section here for continuity. So, let's continue to look at the effect of each piece. 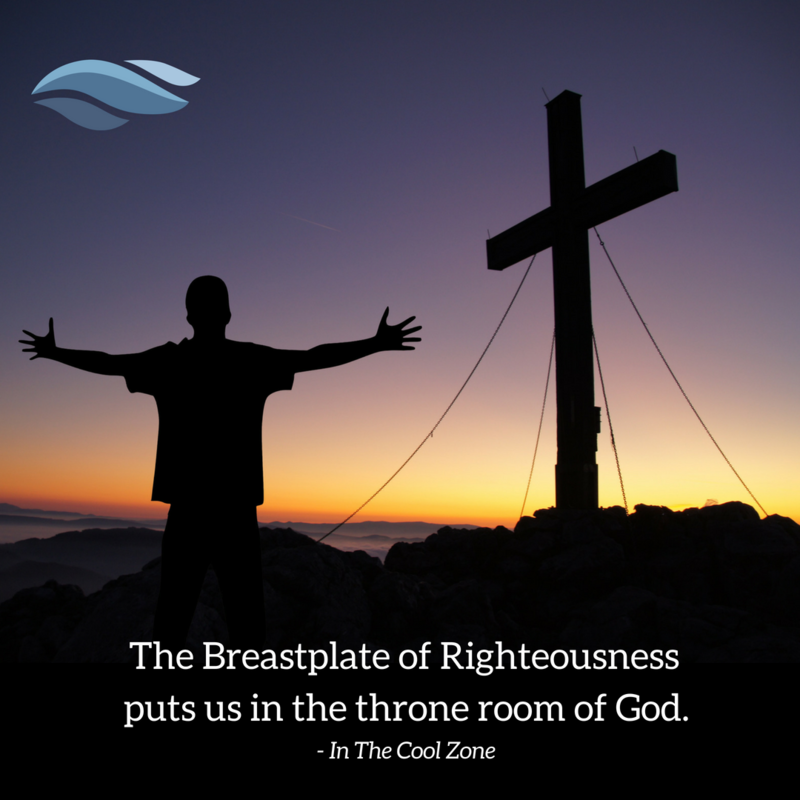 Today we are tackling the Breastplate of Righteousness! Righteousness has an effect. The effect is, it puts us in the throne room of God. 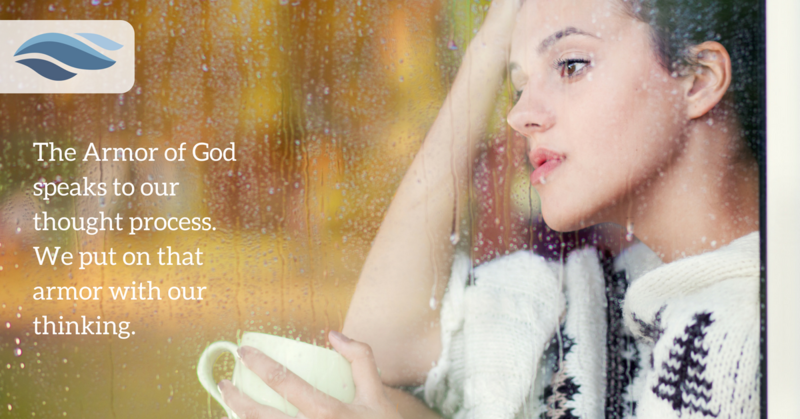 When we are burdened with sin we separate ourselves from God. 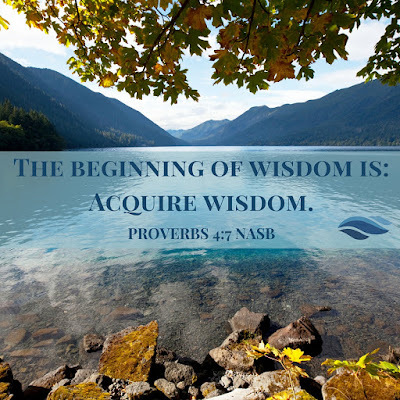 Conversely, when we are right with God, a whole new world opens up for us and he sees and hears us! More precisely, He is looking for us and listening for us. Righteousness opens the door for faith and faith is important in our thinking here, so let's review our definition of faith. Faith is the trust we have in someone base on what we know about their character. He loves us without exception. He has given us many wonderful promises. He intends to keep His promises. He delights in keeping His promises. He is listening for us. When we know these things about our Father there is no thought that our requests are too small or trite. He is not indifferent. He is focused on your every breath. Open your mouth and make your requests. Thank Him. Praise Him. Chit-chat with Him. Your breastplate has made all of this possible. The person who does not have on the Breastplate of Righteousness thinks their request as too meager for God. "He has better things to do." This person thinks God has bigger plans that do not include them. The world has crafted this kind of thinking and we have adopted it. Yet, we know that it is absurdly wrong! Come to Me with shameless persistence! There may be a few ways to look at happiness vs. joy and maybe this will add value to their distinctions. Happiness is generally determined by what is happening to us or even an accumulation of good or bad events or circumstances. Joy is completely different. It is determined by what we choose. When you ask someone if they are happy, the happy person says something like, "I feel good, things are going well, there haven't been any emergencies, my relationships are going well." The unhappy person says, "I haven't felt good, things are not going great, I've had a few emergencies and relationships have been tough." These are all external influences. 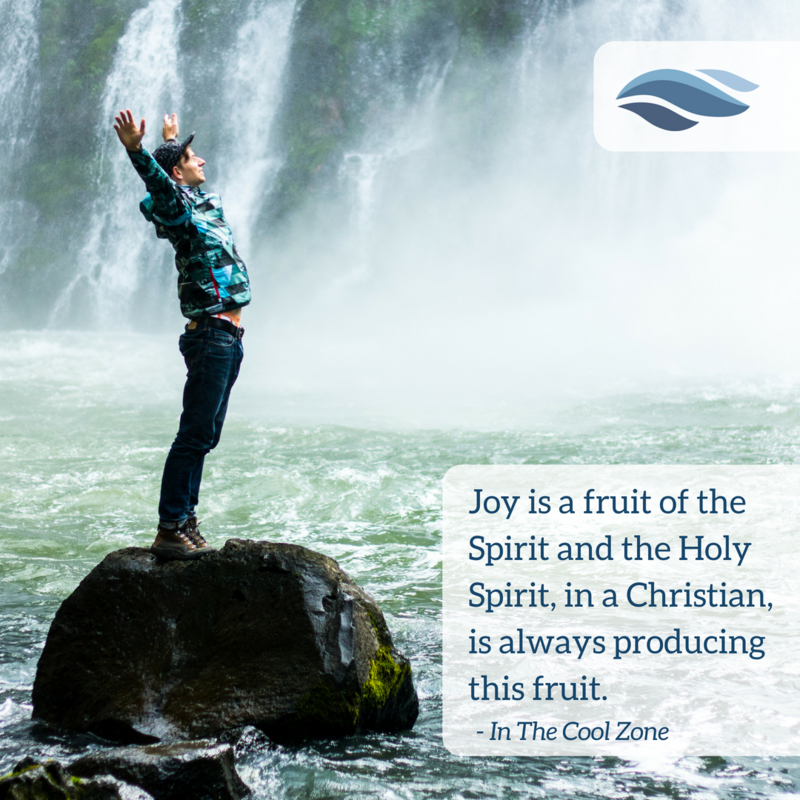 Joy, for the Christian, is internal. It is a fruit of the Spirit and the Holy Spirit, in a Christian, is always producing this fruit. It's our job to get in on it. The barrier for doing this, comes from thinking we are the source of joy and we have to go outside of ourselves to get it. The scriptures describe two natures within the born again Christian. They have a few different names and traits that will probably be familiar. All things have become new. The place where we find the biggest impact of "all things being new" is in our thinking. Thinking is the mechanism of our transformation in Christ. It's a whole new world of how one thinks. When it comes to walking in the fruit of the Spirit, it's a choice to walk in that fruit. The confusion comes from thinking that says, you either feel great and have the joy of the Lord or you feel terrible and do not have the joy of the Lord. That is completely untrue. We actually have both at the same time. 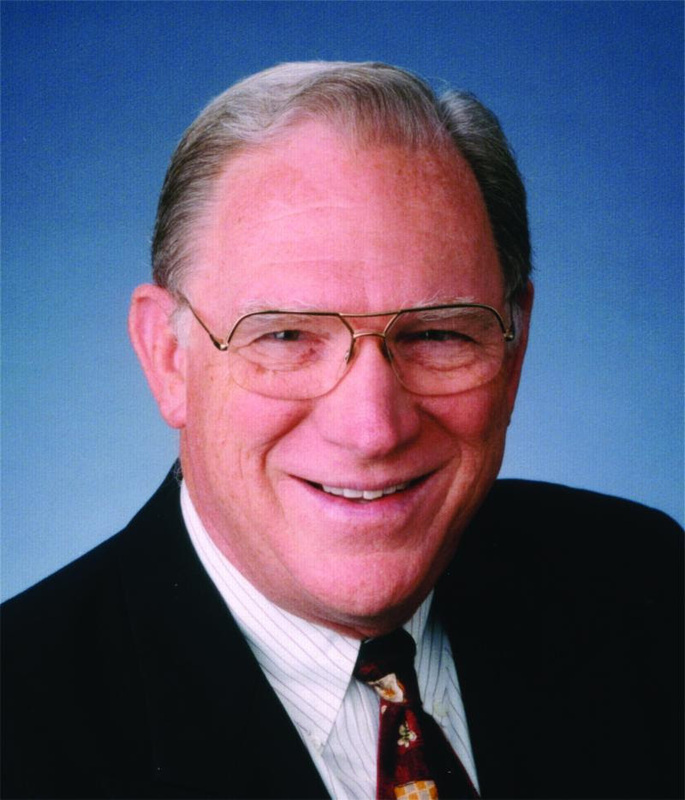 Dr. Chuck Missler went to be with the Lord on May 1st, 2018. It is difficult to put into words what he has meant to me as my heart has been heavy. He has taught the Word of God for decades and I am just one of so many that he has touched in that time. I am grateful to have known Chuck through his teachings. 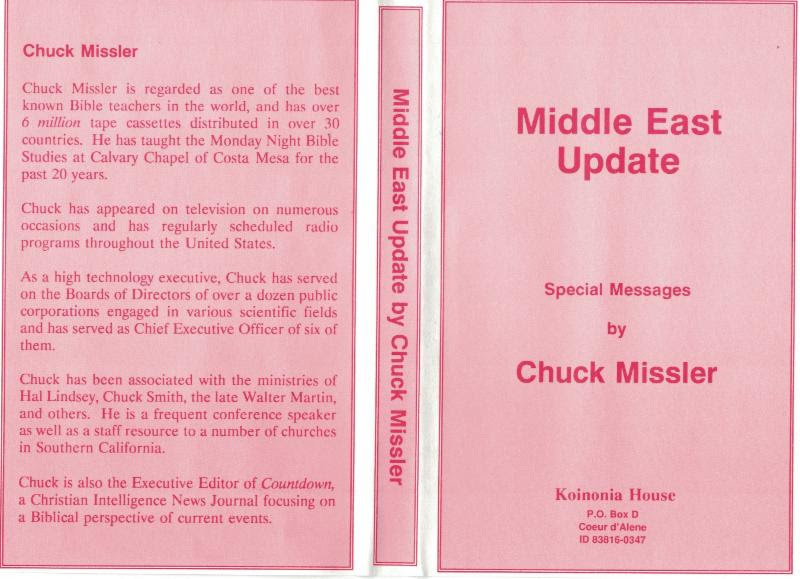 It was my Uncle Pat and Aunt Sheryl, who lent me the first Chuck Missler, Briefing Pack, which kicked off the most intense, insightful and thorough Biblical studies that I have ever come across. The Briefing Pack was called, The Coming Temple, Update. I remember it looking a little different than what you see here. 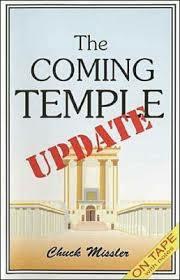 The cover was pink and just had the words, The Coming Temple, Update, on the front. The pack shown here, I believe is a newer version. If I remember correctly, the cover looked more like the following Briefing Pack, which I understand was Chuck's first Briefing Pack. He called it, a "Two Pack." I found this tidbit in the Compass International's weekly email, which featured a wonderful tribute to Chuck. Thank you, Compass International! I met Chuck Missler one time and I remember it vividly. My wife Lisa and I we're visiting family in Newport, Washington, and took a morning to visit Koinonia House in Post Falls, Idaho, where Chuck was headquartered. We drove over and I was pretty excited. I was thinking there was no chance I would see Chuck but wanted to see where all those Briefing Packs were coming from. We walked into the front office of Koinonia House, aka K-House, and met the friendly receptionist and started to peruse the selection. I was on high alert as I was thinking, how in the world could I get a chance to shake Chuck's hand?!? Lisa and I were like kids in a candy store. 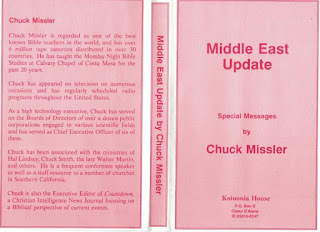 I knew from Chuck's newsletter, Personal Update, that he had dozens of Briefing Packs and commentaries, but this was crazy. I was in the showroom people! If I had, had a wheelbarrow, I would have carted off the entire lot. Then, out of the corner of my eye, I saw someone walk in the front door and begin to make his way up a set a stairs that I had not noticed. It was Chuck! I honestly didn't know what to do. I wanted to be sure to treat him like a brother, not a rock star, and my window was closing fast. I had the sense that Chuck was adept at getting through the front door and up those steps quickly, as anyone in the small bookstore would want a little time to speak with him... and I'm sure that "little time" would turn into a lot of time, and I get that. However, he had the posture that he would take whatever time I wanted to engage with him. He stopped at the first step, stepped back and turned, "yes?" I squeezed out, "How are you, sir?" "I'm doing great, how are you?" he responded. "I'm doing very well, thank you. Have a good day." I wanted the rest of the day with him but this was appropriate and the honor was all mine. Later that week, I went to one of Chuck's live meetings. I was soooo excited to see Chuck speak in person, so this was a real treat. I arrive early and got my seat and strapped in for the ride of my life. Well, it turns out that Chuck had a guest that night, so instead of Chuck, I got Avi Lipkin. My heart dropped to the floor as, I was thinking, "I've come all this way to get a guest speaker!?! For crying out loud!" Hahaha! Well it turns out I was in for the ride I was expecting but it was the great Avi Lipkin at the wheel. That setting turned out to be, a new Briefing Pack, not in circulation, which for all intents and purposes was Avi's prediction of "planes falling out of the sky and buildings blowing up," that was given a mere 2 months before 911. Yet, there are other fantastic ways to begin to see and confirm the authenticity of the Bible. Anything from showing the accuracy of the many ancient prophecies, to confirming the existence of individuals mentioned, the eyewitness accounts, detailed accounts of places, events, and even the timing of events, are all great places to start. The study of Biblical Archaeology is one of these disciplines that can be persuasive logically and coherently in showing someone of the opposing view, why Christianity is a Worldview that makes a lot of sense, and in fact, doesn’t make sense to reject. Used the right way we can make our case for biblical authenticity and more importantly deliver the Gospel at every opportunity. Biblical Archaeology has laid out what seems to be an endless case for the authenticity of the Bible. 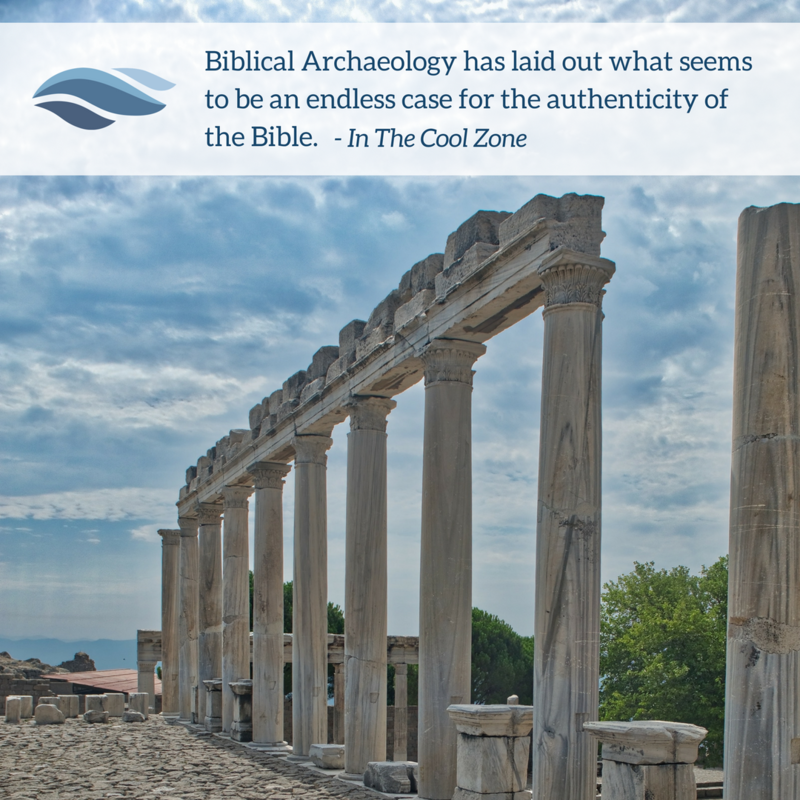 Let’s begin by endeavoring to define archaeology, the Historical Method, and cite what will simply amount to a small fraction of the many archaeological proofs that establish the scriptures as authentic and an accurately preserved document. Then we will describe and demonstrate how to deliver the Gospel so we can not only persuade but also win others to Christ. A great way to start is to define terms. What is archaeology? According to Wikipedia, 2archaeology, or archeology, is the study of human activity through the recovery and analysis of material culture. The archaeological record consists of artifacts, architecture, biofacts or ecofacts, and cultural landscapes. So, it’s the study of “old stuff” to reveal a culture and when it existed. Again, from Wikipedia, 3Biblical archaeology involves the recovery and scientific investigation of the material remains of past cultures that can illuminate the periods and descriptions in the Bible, be they from the Old Testament (Tanakh) or from the New Testament, as well as the history and cosmogony of the Judeo-Christian religions. The next question is, how do we deal consistently with the evidence we find, so we have a standard for interpreting our results? It’s fun to jump into the myriad examples of archaeological Biblical proofs but it is important to start with the methodology, known as the “historical method,” so we can begin to understand the significance of findings and take a thoughtful approach in demonstrating archaeology as a powerful means of verifying that the scriptures reveal real people, real events and they are referenced in the appropriate time in history. This is so we can attribute the correct value of any one finding. That is to say, that how we deal with our information is as important as the information itself. A consistent methodology gives us a baseline for making good judgements. So, what is the historical method? The highlight here is, “the techniques and guidelines.” These guidelines, if accurate for attributing value to the evidence of non-biblically related findings, are certainly applicable to findings that are biblically related. A thorough analysis of the Historical Method would be more than what could be accomplished here. We as laymen, and the vast majority of people we will engage in this kind of discussion, most likely do not have the time to digest all that comes along with the historical methodology but it is reasonable to expect that all findings should be treated with the same guidelines, and dare I say, respect. With that let’s look at just a few examples of biblical archaeology after a quick intermission.